t is prudent to obtain a letter from a lender stating you are qualified to purchase a property within a specific price range before you begin viewing properties with Sally and/or members of the Platinum Team. Having pre-approval strengthens your Buy/Sell offer for negotiations. We are happy to provide you with the names of local lenders. Terms vary from lender to lender and it is wise to obtain quotes from more than one source. Lenders require an appraisal prior to financing, and they order the appraisal to insure its accuracy. Appraisals in the Gallatin Valley can take 3 to 4 weeks. Sally and her team will help arrange a time for a reputable appraiser to view the property. Should the house not appraise for the contract amount, we will help negotiate a change in the price. It is the Buyer’s responsibility to seek Home and Property Inspections. The cost of these inspections range from $500 to $750 for a high-end home; this is determined by the age of the home, square footage, and location. Inspection for the potential presence of radon gas, which we urge you to do, generally costs an additional $100. It is vital that you engage a qualified Home Inspector. We will provide you with names of reputable local inspectors, schedule the inspection, and will be present during the inspection (which can take between 4 to 7 hours). After the inspection, we will go over the results with you and after this, present an Inspection Notice to the Seller and negotiate any repairs or provisions required from the Seller due to the Inspection Report. This may involve a price reduction or a requirement for repairs or mitigation. The Water and Mineral Rights on the sale property may require both legal advice and, potentially, specialists in such matters; these issues are also the Buyer’s Responsibility. Water and Mineral Rights in Montana can seem like a daunting labyrinth of legal records and laws. It is the responsibility of the Buyer to determine how important the role of Water and Mineral Rights are in the negotiations for a property and then to accurately determine what rights convey. We will include in the Buy/Sell Agreement that all rights appurtenant to the property will convey with the property, however it will be up to you to determine what these rights include. The property may have a stream running through it, but that doesn’t mean – and this is all too often the case! – the owner of the property has any right whatsoever to take any water out of the stream. Also, wells and pond construction are regulated by the DNRC and the State of Montana, and, in many cases, Homeowner Associations. You need to know what your options are in regards to water before you purchase the property. 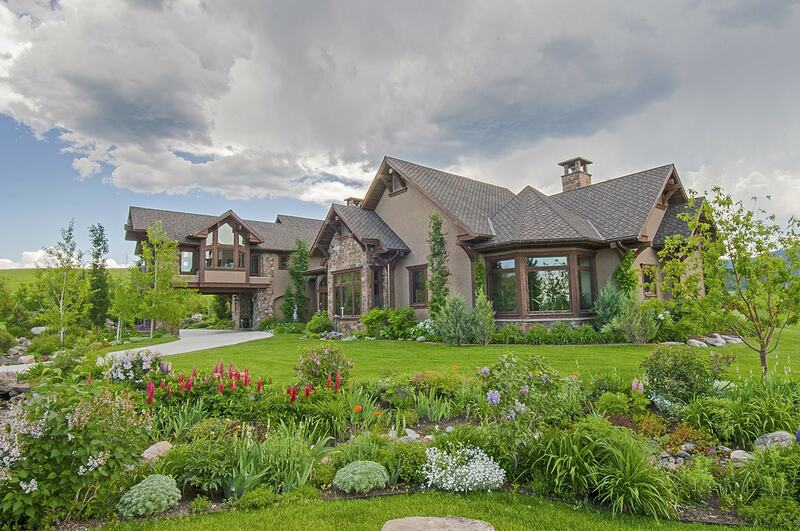 Flood plains are another consideration in purchasing a property in the Gallatin Valley. There are 100 year and 500-year flood plain maps available. Click here to read more about flood plains in Montana. If you can see or hear water, you must be aware of your risk for flooding. Engaging a qualified Hydrologist can help determine the best site for a new home or the risk potential of the property. Many properties in the Bozeman and Gallatin Valley area are connected to activeHomeowner Associations. Sally and her team will provide you with any and all known Covenants for the Homeowners Association associated with your property. You will need to consult with your attorney to determine any restrictions and regulations that affect your intended use of the property. The Buyer generally takes possession of the property when the Deed is recorded. This is the day of closing if it is early in the morning, or the following day when the signing is in the afternoon. We will arrange a final walk-through of the property prior to Closing to insure that everything is in tip-top condition and you are closing on what you have agreed to purchase. You will need to arrange to have a mover scheduled well before closing date as qualified movers are booked well in advance. We will provide you with names of the most qualified movers. You will also need to arrange to have utilities and phone connected in your name. The Buyer’s responsibilities at Closing include any loan fees, as applicable. The proration of taxes and any special Assessments that are not the Seller’s Responsibility. Other responsibilities include insurance required by the Lender. Closing Costs, which are generally split between Buyer and Seller, are generally under $300, or a $150 cost to the Buyer. You will be provided with a closing statement prior to closing. The closing itself is a simple process of signing documents, which can take place in the Title Company’s office, or by registered mail with documents being notarized. You will be able, up until 10 or so days prior to closing, to determine which name or entity you wish to have the property titled under. You will arrange with your lender or banker to have a certified check delivered to the Title company or the monies wired to the Title Company in the amount of the closing by the date of closing. Congratulations! You are now a Gallatin Valley property owner.